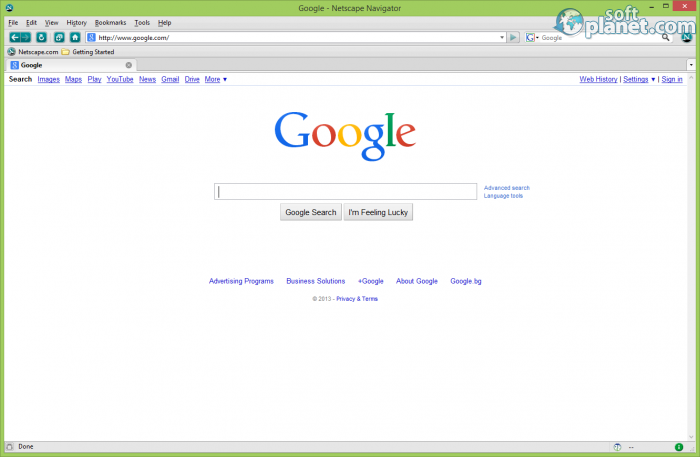 SoftPlanet makes it possible for everyone to get free Netscape Navigator download directly from our servers. There is no registration needed for downloading. When you think of modern web browsers you can only think of a few names that command this entire market – Google's Chrome, Internet Explorer, Mozilla Firefox, Safari and Opera. In reality there's one more browser that once was the leading choice of people around the world. It's name is Netscape Navigator and in the 1990s and early 2000s it was the browser of choice for most people around the world, easily overshadowing current giants such as Internet Explorer. Today Netscape Navigator is almost non-existent as its development ceased in the late 2000s but the latest versions of this favorite browser are still surprisingly vital which is also the case with Netscape Navigator 9.0.0.5. It may sound strange but Netscape Navigator 9.0.0.5 packs a lot of features that can easily match or even outclass most modern web browsers. Just like them this great browser is completely free and you can download it off the Internet quickly and easily and with no effort at all. It is quick to install too – all you need to do is just follow the instructions and when you run it for the first time you will see that it looks like any other browser making it really easy to work with. 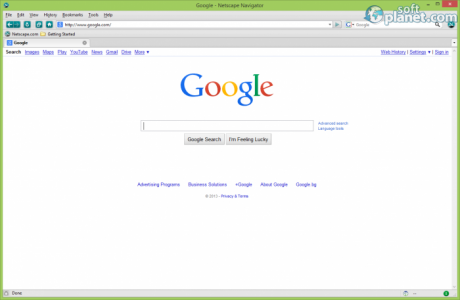 Netscape Navigator 9.0.0.5 offers a nice interface that has everything you may need, presented in a nice way so you can immediately start working with it. 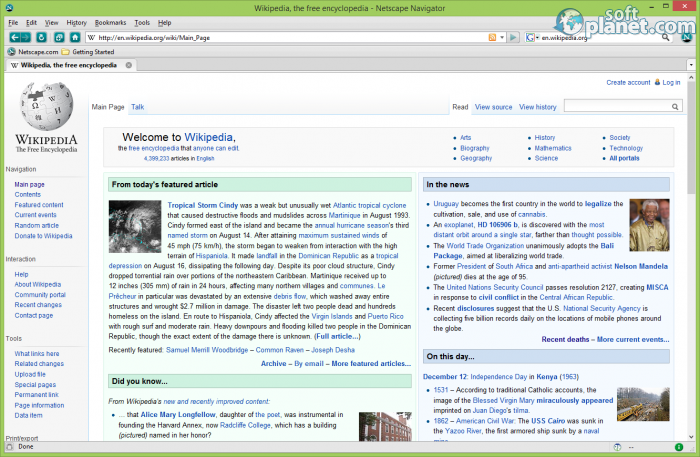 The interface of Netscape Navigator 9.0.0.5 is both different and similar to other web browsers. It has its own distinct look that you can see in the icons, the bars and buttons and in the overall color scheme. 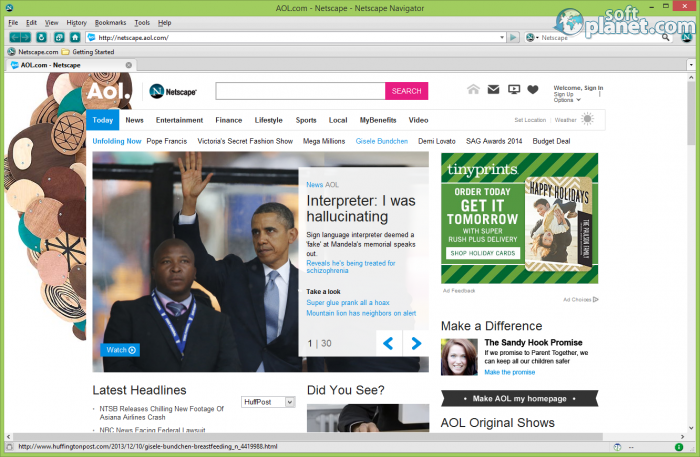 The browsers bets on gray and the blue-green color that Netscape is known for. Yet it resembles browsers like Firefox and Internet Explorer. 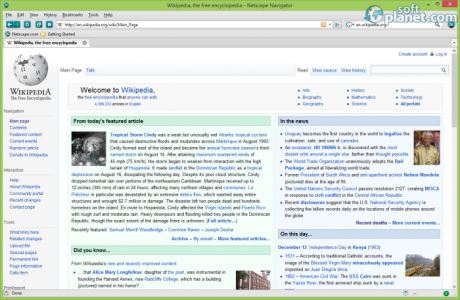 The icons such as Back, Forward, Reload and others are located in the upper left corner, while the address bar crosses the entire screen and it is exactly where you would expect to find it. In addition there's a universal search engine in the upper right corner. Another resemblance to other web browsers is that web pages open in tabs but a difference is that when you click on a search engine result it will open in a separate tab – not the same one. Netscape Navigator 9.0.0.5 works like any other web browser. Just type a web address in the address bar and then press Enter – you will then be taken to the web page of your choice. Or you can simply use the search engine in the upper right corner. An interesting fact is that around the web this browser gets recognized like Mozilla Firefox. Still here and there you will see that it is not supported that well since it is not developed anymore and some web technologies are not supported. In any case, however, Netscape Navigator 9.0.0.5 does more than well with almost all web pages out there. Although it is no longer supported Netscape Navigator 9.0.0.5 is a great browser that will take you back to the great days of Netscape Navigator. It works just fine with most web pages, it has a nice interface with a lot of useful functions and technologies. You will surely enjoy this free browser so go ahead and download it from our web site and even if you are not a fan then just try something different. Our security scan shows that Netscape Navigator is clean from viruses. The current version of Netscape Navigator has been scanned by our system, which contains 46 different anti-virus algorithms. That ensures that Netscape Navigator 9.0.0.5 is 100% safe for your computer.